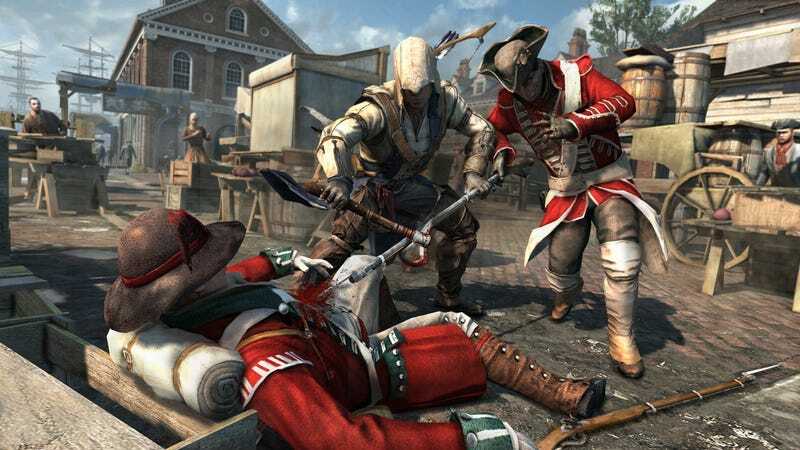 The developers of this fall's Assassin's Creed III swear that the game's protagonist, the 18th century half-Native-America/half-British assassin Connor won't just kill redcoats in Revolutionary-era America. He might fight colonists... they even have Connor acknowledge that in a new E3 video demo, but they still aren't showing it. So, for now, watch more redcoats die. We'll have a ton more news about Assassin's Creed III in the days to come.